. 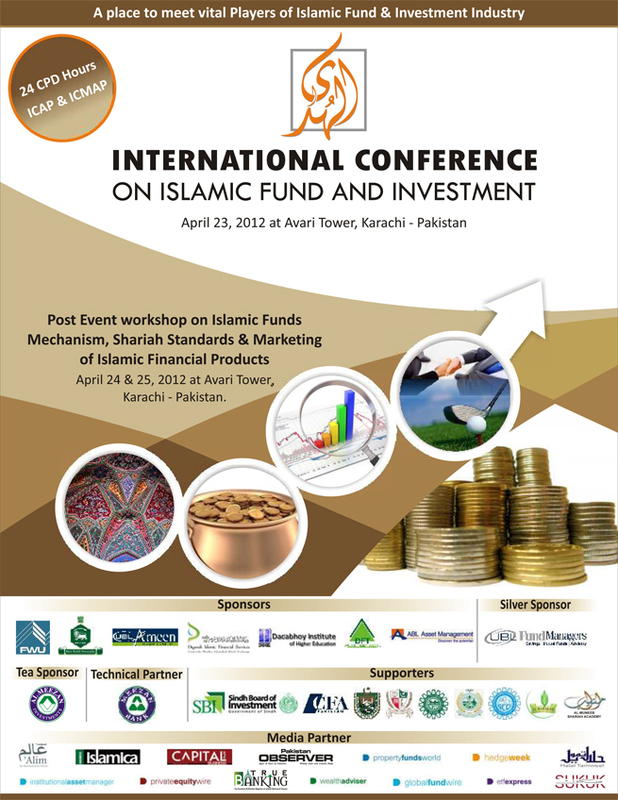 :: Islamic Fund Conference 2012 ::. AlHuda-CIBE is a success icon in Islamic Fund and Investment sector which focuses on Education and Trainings, Advisory and Consultancy, Publication and Promotion, Islamic Finanace Shariah Advisory, Islamic Microfinance Product development in order to promote the industry worldwide. In Continuation to the selfless efforts of searching the new horizons for the promotion of Islamic Fund and Investment globally, AlHuda CIBE is hopeful to add its integral part for the dignity of the noble cause and is much honored to announce "International Conference on Islamic Fund and Investment in Pakistan".